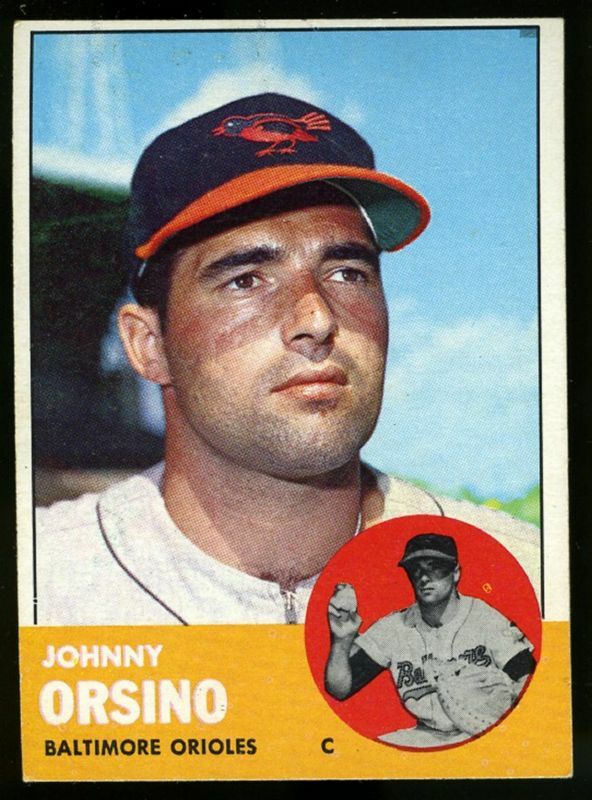 In lieu of this week’s Flashback Friday, Roar from 34 turns its attention to Keith Olbermann’s MLB blog “Baseball Nerd” where Olbermann tells the story of former O’s backstop Johnny Orsino. Orsino , nicknamed Horse, made a unique claim to baseball fame with his streak of five straight Spring Training home runs to start his Orioles career. So his first at bat in an Orioles uniform on March 15th was by itself something of a triumph. Orsino was later part of another baseball rarity when he caught a game during which both pitchers tossed one-hitters. The only players to record hits in the game were the catchers. On Sept. 12, 1964, pitcher Frank Bertaina of the Birds topped Bob Meyer of the Kansas City A’s before 13,162 fans at Memorial Stadium. Bertaina, a 20-year-old rookie, struck out seven and walked five. His only hit allowed was a lead-off double in the fifth inning to A’s catcher Doc Edwards. Meyer, a 24-year-old rookie, pitched seven no-hit innings before allowing a lead-off double to Orsino. A sacrifice bunt by Bertaina moved pinch runner Bob Saverine (nicknamed “Rabbit”) to third. Saverine then scored on a Jackie Brandt sacrifice fly. So the critical sequence started like this: Lead-off double by the Horse, replaced by the Rabbit as a pinch runner. If that’s not wise managing I don’t know what is. The Orioles moved to 87-58 with the 1-0 victory while the Athletics fell to 52-91. Bertaina finished the 1964 season 1-0 in six starts. He recorded 19 career wins in seven major league seasons. Meyer finished the 1964 season 2-8 in 22 starts. He tallied two career wins in three major league seasons.